Improved Google+ sharing too. Great. 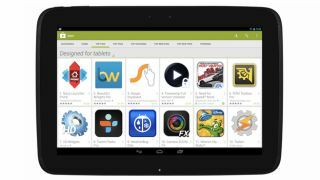 Google has updated its Play Services tool for Android developers, which allows them to build the latest available features into their applications. The headline new toy for devs is the ability to add native, turn-based multiplayer support for 8 players. The data from each turn will now be uploaded to Google's servers and passed onto each of the players. Also among the new features is the opportunity for app makers to improve sharing to Google+ from their applications. "An improved Google+ sharing experience makes it even easier for users to share with the right people from your app. It includes better auto-complete and suggested recipients from Gmail contacts, device contacts and people on Google+," the company wrote on the Android developers' blog. Google has also added a preview of the Google Drive API for Android, which will eventually see tighter integration between Google Play apps and the cloud storage locker. This version of Google Play Services includes a developer preview of the new Google Drive API for Android. You can use it to easily read and write files in Google Drive so they're available across devices and on the web. Users can work with files offline too — changes are synced with Google Drive automatically when they reconnect," Google wrote. While all this may be for the benefit of developers right now, Android users should start to feel the benefits as 2014 progresses. The update will begin arriving for app makers from today. Google has been kind enough to issue a Gmail update that potentially lets anyone on Google+ spam your inbox. Thanks, chaps.